You have an arsenal of cleaning supplies to keep your home at its best, but the vacuum is the real MVP of your cleaning team. If it’s not doing its job, keeping a clean home is next to impossible, so don’t hesitate to seek vacuum repair if necessary. 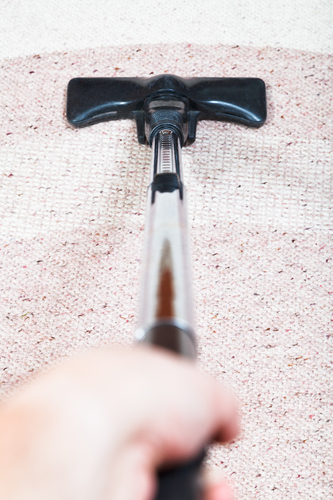 Keep an eye out for these signs that your vacuum needs professional repair. When you start noticing your vacuum making strange noises, consider it a cry for help. High-pitched whining or buzzing along with clunks, clanks, and grinding sounds are all bad news. They either mean something inside the casing is broken, or the motor is being forced to work harder than usual. When the motor starts to burn out, you’ll be able to smell it. The rank odor of smoke and burning fibers is hard to ignore as you clean. While actual flames are unlikely, the smell itself is enough to cause concern, and you’ll probably need to replace the motor. Suction power will always depend on the quality of the vacuum. Some models are simply stronger than others, but it shouldn’t be hard to tell the difference between a cheap product and a good one in need of vacuum repair. If a pile of crumbs barely moves as you continuously try sucking it up, there’s something wrong. The issue could be a broken hose or a clogged filter. The easiest solution is to have the professionals take a look. Aerus Electrolux in Seymour, CT, specializes in vacuum repair along with other services designed to promote cleanliness and allergy solutions. They have a collection of quality cleaning supplies, and their experienced staff can teach you how to use them. If cleaning your house has suddenly become more bothersome than normal, call them at (203) 881-0910 to schedule vacuum repair. Visit the website for more information about their services.